Join Greenhouse Garden Center, David and Julie Ruf, and all the staff as we celebrate 43 years in business at this same location. This month is chock full of sales, promotions, and great classes. Don't miss our 43rd ANNIVERSARY SALE ON APRIL 22-23. Everything in-stock nursery-wide (with the exclusion of bulk soils, bulk rocks and sod) will be on sale - and best of all, you will be able to use your Rewards program. If you have not already signed up for our Rewards program, now is the time to do so. By signing up you receive 5% back on every $100 spent here at Greenhouse Garden Center. Coming attractions for this month include Aaron and Paula Penrod, owners, SYNLawn on April 15 at 1 PM. If you have been thinking about installing artificial turf this is a definite don't miss seminar. At the end of the month, April 29th , Thomas Chaplin of Fox Farm Fertilizers will be in the house at 10 AM to talk about the organic Fox Farm line of fertilizers and soils. Thomas has had many years in the industry and it's a real treat to have him share that knowledge with us. Don't miss the seminar Honeybees 101 on April 8th at 10 am. Debbie Gilmore of Halls Honey from Yerington will be bringing her demonstration bee hive. This is a live hive encased in glass for some fascinating viewing of a live working hive. Earth Day and Arbor Day fall on the same date this month, April 28th. This is your day to stock up on Purple and Orange Paydirt. On this day only - you can get unlimited quantities of Orange Paydirt for $5/bag and Purple Paydirt for $8/bag. Finally, in celebration of Arbor Day, save 20% off on all in-stock trees. Seminar, "Honeybees 101", Speaker: David Ruf, 10 AM, Debbie Gilmore of Halls Honey will have a demonstration hive. EASTER SUNDAY - WE ARE OPEN! Microbe Life Photosynthesis Plus is an organic product that enhances plant function at the foliar level and the root zone in both soil and soilless substrates. This product enhances photosynthesis and biological function by allowing plants to capture and utilize radiant energy very efficiently. It speeds uptake and distribution of essential macro and micro nutrients required for all plant metabolic functions and growth. This product will increase crop size and yields. Microbe Life Photosynthesis Plus is compatible with all fertilizer programs, including NFT, drip systems, aeroponic, irrigation and liquid feeding systems and with all soilless media. 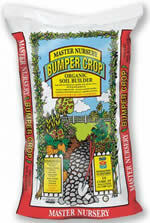 Greenhouse Garden Center always has this product in stock. Are you looking for some home-grown fresh fruit before your strawberries are ready? Greenhouse Garden Center is very excited to offer Honeyberries for the first time. With a very thin skin, these zesty berries are guaranteed to melt in your mouth. Use them in place of blueberries, fresh or frozen, in your favorite blueberry recipe. A pollinator is required so buy two. Currently Greenhouse Garden Center is stocking two cultivars that will work well together, Borealis and Berry Blue. Added features include: very cold hardy (to -55F); grows in moist soils in a wide range of pH levels; does not sucker; and disease and pest resistant which makes it the perfect fruiting plant for organic gardeners. This is a special type of locket offered in our Greenhouse Garden Center gift shop. Beautifully packaged with personalized messages on a photo card it makes a thoughtful and heartfelt gift. The locket opens so the wearer can share special mementoes or photos and, best of all, have that special moment or person close to her heart. Coddling moths are very damaging to the fruit of apples and pears here in Northern Nevada. They may have 2 to 4 generations per year. In this area they appear in April when the apple and pear trees start into bloom. Future generations may appear again in June and August, starting their damaging life cycle over each time before overwintering in the full grown larval stage. Coddling moth traps serve two purposes. First, they can be used to monitor for adults, and second, they can trap male coddling moths so they cannot mate. After there is a 80% blossom drop, we recommend applying Captain Jacks Dead Bug or Bonide Fruit Tree Spray 3 times at 7 day intervals. June through August additional sprayings may be necessary if coddling moths are detected. Get the most out of your apple and pear crops without having to deal with wormy fruit, by following the above instructions.